Start with a Request for Mortgage Assistance (RMA). Download Forms Here. What are the loan mod steps. A Road Map For Success! Take the first step to getting started on your loan modification. Download Forms Here. Why Deal With Selene Finance Yourself?! Work With Selene Finance Experts. ?Still Dealing Selene Finance Yourself?!? Selene Finance Experts Here To Help. RMAssistance Home Loan Mortgage Form Application. FREE Custom Selene Finance Strategy Session With A Selene Finance Experienced Team Member. What is a Selene Finance Loan Modification Package? If you want any kind of mortgage assistance from Selene Finance you will first of all have to submit Selene Request for Mortgage Assistance (RMA) Package. It will be a much better choice if you decide to first consult with a professional. You will have a vast choice of professionals in the market but it is very important to find the right professional. To help you we have put the latest package on our website because that is what we do as we help people get Mortgage Assistance from their lenders. Click here to request a call from a loan mod pro or call 888-934-3444. What is the Selene Finance hardship affidavit? Pro Tip: When reviewing you for a modification approval Selene Finance looks for your original reason for defaulting or RFD. If the RFD has not been cured (hardship) has not been resolved in many cases the will not be able to help. EXAMPLE: A RFD like loss of income must be resolved by replacing that income. One of typical thing they will want to know is if you are making more or less income. What comes next varies from case to case based on the mortgage assistance options that are available. A refinance can naver be similar in any way to a loan modification because refinance is when you get a second loan to pay off the first one. While doing a loan modification it will not be allowed to combine your previous loans such as first mortgage and second mortgage. A Loan Modification is done to modify the terms of an existing loan. What terms can I change on my mortgage with a loan modification? There is no potential for out of the box thinking in banking industry. So the number of terms that you can get modified on your loan is very limited. Most of the people demand to get their interest rate changed. Although it is one way to reduce the payment but not the only way. The mortgage servicer will push to reach affordability to it will be based on your income. One other way to reach affordability is to extend the time of the loan but people sometimes have seen that they add payments at the start of the loan so it is not desirable. They will not extend the loan by the length of your missed payments. They will extend the loan back to usually its original length of 30 years but in some cases more. We have seen as much as 50 years, but as 30 years is the norm, any extension beyond is generally no more than 40. Beneficiary of the note and the limitations they set completely control this. Getting Your Forms Submitted To Selene Finance To Get The Process Going. What is in the Selene Finance Loan Modification Package? Selene Finance require the same documents as all other lenders. It will be required of you to submit your complete financial information to your servicer such as a monthly budget, your tax returns for the last two years along with a 4506t to show the returns were actually filed, pay stubs or proof of income like a profit and loss, bank statements, reason for requiring to do a loan modification, and a hardship letter. Pro Tip: Working with our professionals should allow you to be able to pick out the documents your servicer Selene Finance will need. 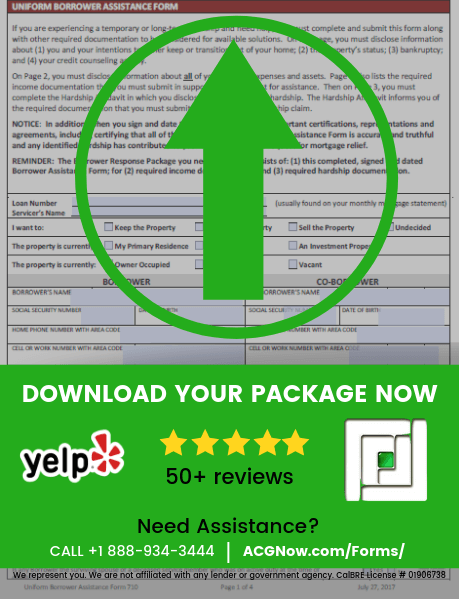 When your mortgage company requests items after they’ve started their modification review process they passed over sending your file to the next stage. The lender will want to get a value because they will want to first balance out all the options available to the homeowner and it is one way to do that. For a lender there are many ways by which they can get a valuation and some are which in which value is obtained online. In some cases a broker will do the valuation by comparing properties similar to each other. Sometimes to get an interior value the broker will need access to the home. In most cases drive by or external value is sufficient. The person doing any kind of valuation will have to compare properties that are either listed or have been sold out recently. They consider the homes perceived condition, the size of the living space, the size of the lot, how many stories it has and whether or not it has a pool. They will also consider market conditions and how fast homes are selling in the area. There are many factors they take into consideration. Before approving any terms the investor will want that a valuation is completed so most of the cases the investor will do the valuation on the computer but in some rare cases the investor will hire a broker to do a valuation and the cases in which the investor hires a proper appraiser are even rarer. The homeowner may be required to pay upfront fees in some of the cases for these services. Pro Tip: AVMs are not accurate. They can often show a skewed view on what your property is worth. Want to get a property valuation? Contact us for a Property Valuation. It is possible that sometimes a value can return too high or too low no matter what is the caliber of person doing the valuation, You may have to file a dispute of value if this happens. Depending on who the investor is or if it’s insured there may be different processes for filing disputes with Selene Finance or another managing entity. Pro Tip: Equity is not always your friend. If you have equity your lender may not work with you because they would rather you sell your home and pay off your loan or refinance. If you don’t have enough equity then they may feel that this will not be a good investment for them so they may also decline you. Speak to one of our Loan Modification specialist for a free no oblication review by calling 888-934-3444. NPV and how does it work? Selene Finance’s Net Present Value or NPV Process and Analysis. This is the time after the value has returned successfully that the lender will decide to approve your application and send your file further. Usually there is an audit before the submission to management and if approved there is often another auditing process that occurs before an approval letter is issued. Pro Tip: Check Your Numbers! Reviewing the NPV is crucial to understanding whether the offer made to you is accurate. We regularly see servicers misinterpret the information submitted to them. Understand how your loan modification underwriter may think is important. Call us for a free consultation at 888-934-3444. NPV stands for Net Present Value. Basically what NPV is that it is an algorithm using which the investor can get the value for their money. This value usually changes from day to day and is not stable. In NPV process the investor looks at two different homeowners and will see that where they can make the most money. The investor will also have to decide whether taking the amount the homeowner is behind on and extending is even worth it or not. Homeowners have to know that when the numbers don’t add up for the investor that is when they are most likely to get declined. Usually countering the NPV is a very easy process because all you have to do is to see the parts that dont make sense and attack those. You have to look at each point and observe what would be the likely output. In most cases there are incorrect income figures but it could go beyond that to things like the property’s perceived value and even in some cases the consumers credit report. Pro Tip: If there is a time to appeal a loan modification decline it’s now. This is the time to analyze everything you know from their review. Make sure that you have all your proof straight because you might only get once chance at a decline appeal. Most probably you will be placed on a trial payment plan if you have been approved for the loan modification process. You will not know what the finalized terms will be that they are offering you but the final payment should be inline with what you will be paying for the mortgage at least at the onset of the new plan. When the loan modification is in the final stages with Selene Finance there is a Finalization process.If you have been placed on trial payments the documents will be sent to you between 2nd and 3rd payments with a prepaid package so that they can be returned to the lender. Once the documents are returned and the loan modification goes through the final audits with underwriting the master loan documents are amended to show the new terms of the loan. Pro Tip: If you go through the trial plan payments and do not get a modification implemented you may have legal rights. Need a legal consultation? Contact us to be connected to an attorney or call 888-934-3444. We've Been Dealing With Selene Finance For Over A Decade! ?Don't Get Lost In Selene Finance's Web!? 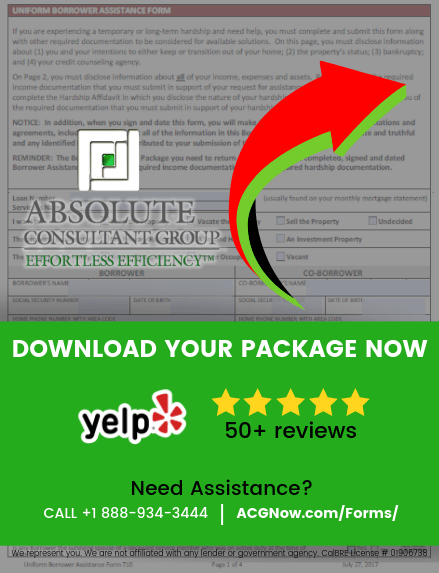 Absolute Consultant Group has a long experience in working with your lender and you to help you and get the process sped up. We will never demand any upfront fees and you will only have to pay us any fee in the case when you have been approved and have accepted the terms but if you due to some reasons first get approved but later get declined you will still not have to pay us anything. Call for details 888-934-3444. Selene Finance is not in any way an easy to deal with and their package is also not easy. Selene Finance has done nothing yet to facilitate their customers but this is the reason ACG is working to help you in getting the Loan Modification and other mortgage relief that you deserve. ACG is here to help you in any way to get Loan Modification from Selene Finance. You will only have to contact us for any Mortgage related problem and you will not have to deal with Selene Finance in any way. Working with us will get your process going a lot faster and easier. What is the Selene Finance Loan Modification Package? In order to be considered for a Loan Modification on a loan that is serviced by Selene Finance you will have to first submit package called Selene Request for Mortgage Assistance (RMA). You must take care to use the latest paperwork and must consult a professional or Selene Finance before submiting anything. The paperwork we last found was put up on the Absolute Consultant Group(ACG) Website. ACG helps homeowners with their Selene Finance Loan Modification process. There are 6 Sections to the standard Selene Finance Loan Modification Package. Need Assistance With A Selene Finance? Borrower Information This section will require the consumer to fill out all the personal details of the borrower and co-borrower. Household Assets This section will require that you fill out all the details of all the assets currently owned by the household. You have to explain household income, expenses and debts etc. Income Documentation In this section you will be required to put the monthly income details salary and other sources of income. Hardship Affidavit This section has hardship options from which you will need to tick out the correct ones showing the reasons for your hardships. Acknowledgement and Agreement In this section you havecertify, acknowledge, and agree that all information in this Borrower Assistance Form is truthful and the hardship that I have identified contributed to my need for mortgage relief. 4506T – The final document in the whole page is the 4506-t which is used in order to verify the tax returns that you provided. Make sure to follow the directions thoroughly. Selene Finance is Difficult. Don't Go It Alone. Professionals Standing By.